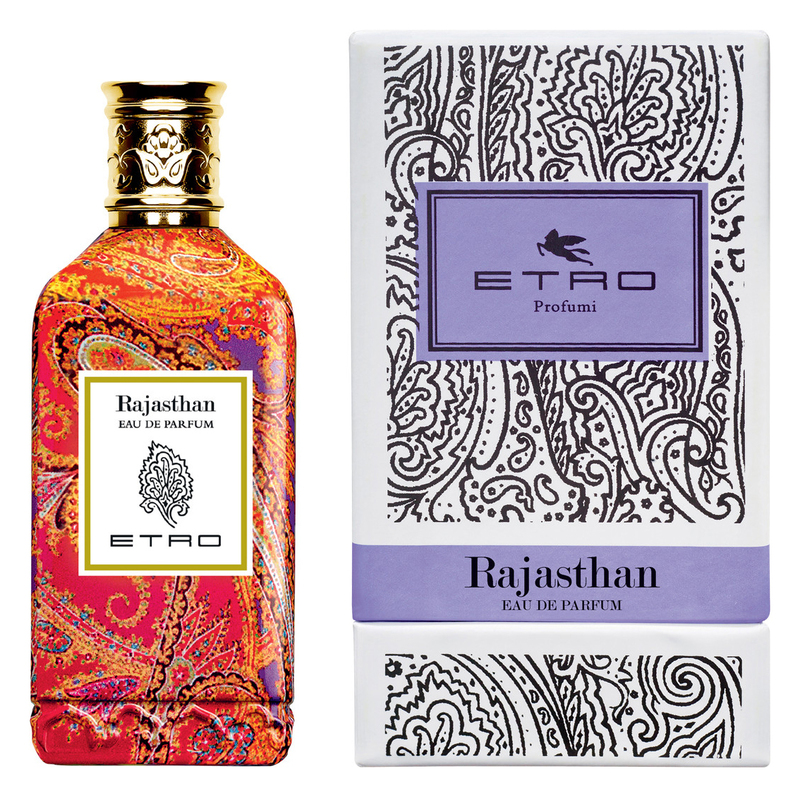 Rajasthan is a perfume by Etro for women and men and was released in 2013. The scent is floral-spicy. It is still in production. But in my defense, I must also say that it smells mainly like roses as far as the floral notes are concerned, and that the fragrance also radiates a strong sweetness, making other floral notes a little more difficult to sniff out at first. Well, with time the flowery notes become equal, and yes, the one note that is probably the mimosa, smells almost as intense as the roses. Anyway, the fragrance remains flowery in the base with roses and mimosas and slightly sweet, mainly with amber, but now also with musk, with a residual hint of spicy notes and a large portion of powdery, gentle fragrances. A very beautiful and pleasant fragrance overall. The shelf life is okay, six to eight hours and more you can smell the scent, but already after half the time it is weaker on the skin, so that at least others would have to get a little closer to smell it. The bottle is rectangular and has rounded corners. As usual from many Etro flacons, this one is also quite colorful here by oriental looking, colorful patterns like a small work of art unusual and looks accordingly very beautiful. I also like the chrome-plated and beautifully decorated lid, which reminds me of elaborately crafted column capitals. Yes, the bottle is simply very beautiful. Oh, I liked the smell. Very even, it smells really great, I don't find any disturbing note and it comes in a wonderful bottle. I think I should try more Etros and not walk past them carelessly, why I have always done this before... hmpf! In any case, Rajasthan is highly recommended if you like sweet scents with spicy and floral notes, especially roses, mimosa, amber, pink pepper and later a little musk. Does he smell oriental now? Is something difficult to say, because sometimes it is not always immediately recognizable for me, how exactly a fragrance must really smell, in order to really be considered oriental. And does it smell like Indian Maharajah palaces? No, don't ask me that, or I'll start talking about Indiana Jones again. Well, that's it from me again. 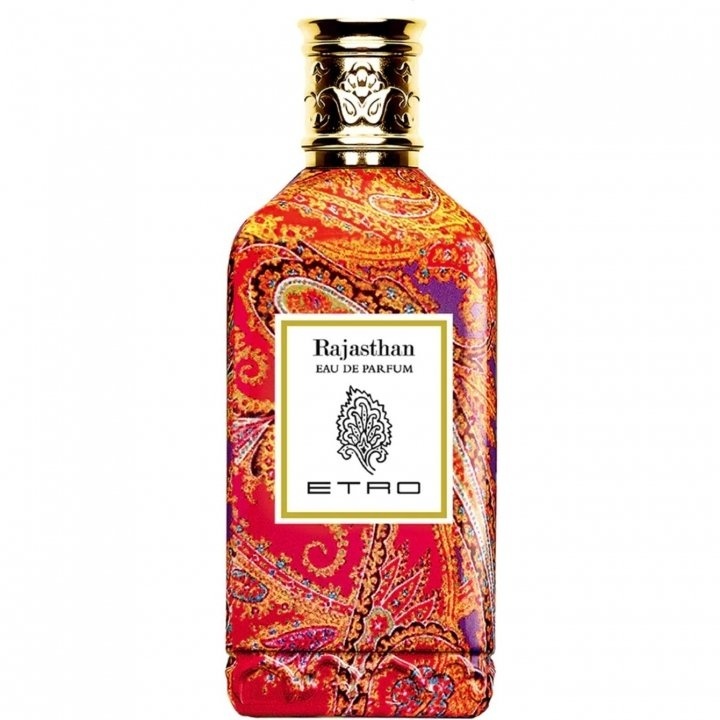 I've just tested this scent , attracted by the elegant and colourful paisley bottle, and I found the scent pleasant, well balanced and characterized by the spicy touch I expected and I usually love. But I must remark that the sillage is quite short in comparison with the high price . It was like a short trip to India: just the emotion of a moment and the oriental magic is over! ...where the pepper grows ! With these impolite words I just ended an unpleasant, exhausting telephone conversation, which did not cause a spark of understanding in the conversation partner or rather conversation opponent. No argument, no good reason, presented with angelic tongues, could ignite. Then you also have to put a point behind it. I think of Peter Cornelius worn down: I am ripe for the island. Overripe. So I thoughtfully pack my little suitcase and travel with Rajasthan to the pepper islands, which brings us back to my final formula mentioned above. And this island on which the lemons ripen - interwoven with the knotweed aroma is a beautiful place - above all nice far away ! Egyptian acacia and soft Turkish roses emphasize his distant exotic, - different time zones - a different mentality. Warm cordiality radiates the cistus rose, bedded in musk. A scent to " get out " - even if it is only mental. I'm glad that I can treat myself to "little escapes" with my scents.